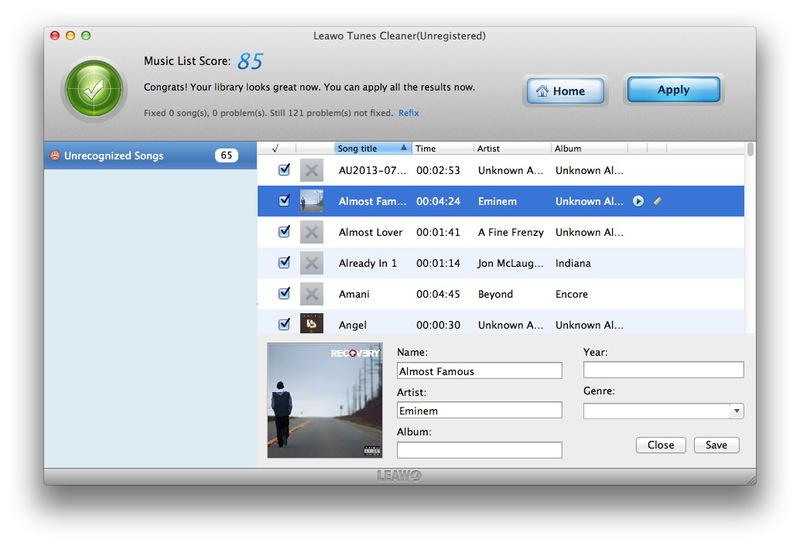 After loading source music files, the program would automatically scan music files that need fixing and then display all problematic music files in specific categories. You could click “Fix All” button to fix all music files displayed, or select the music files you want to fix in different categories for fixing. If there’re Unrecognized Songs after auto-fixing of this program, you could click the edit icon in each song frame to invoke the internal music tag editor. You could add music tags like Name, Artist, Album, Year, Genre. Click “Save” button to save manual editing. 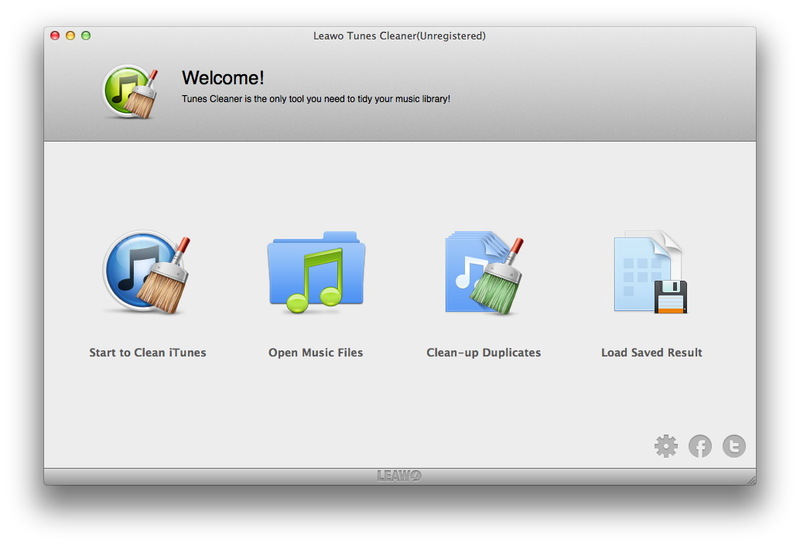 At last, click the “Apply” button to apply fixed music files to iTunes music library or its original music folders in one click. On the main interface, click “Clean-up Duplicates” entry to enter the song duplicate removing process. Click “Scan iTunes” button to directly scan your iTunes music library, or click “Add” button to browse local music files for scanning. 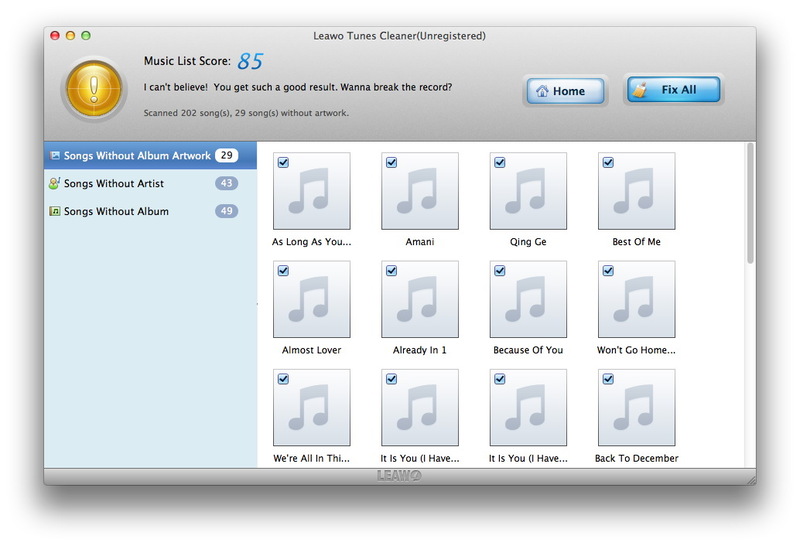 All song duplicates are displayed. 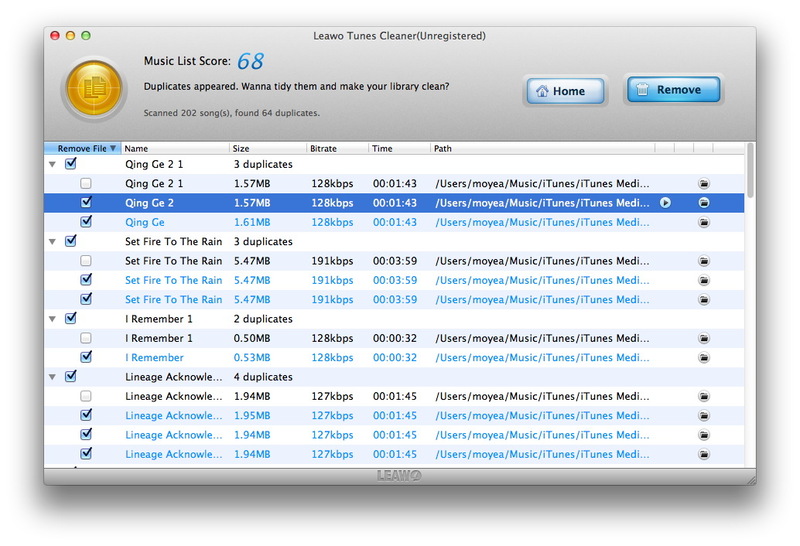 Leawo Tunes Cleaner for Mac displays all song duplicates with suggested duplicates to remove. 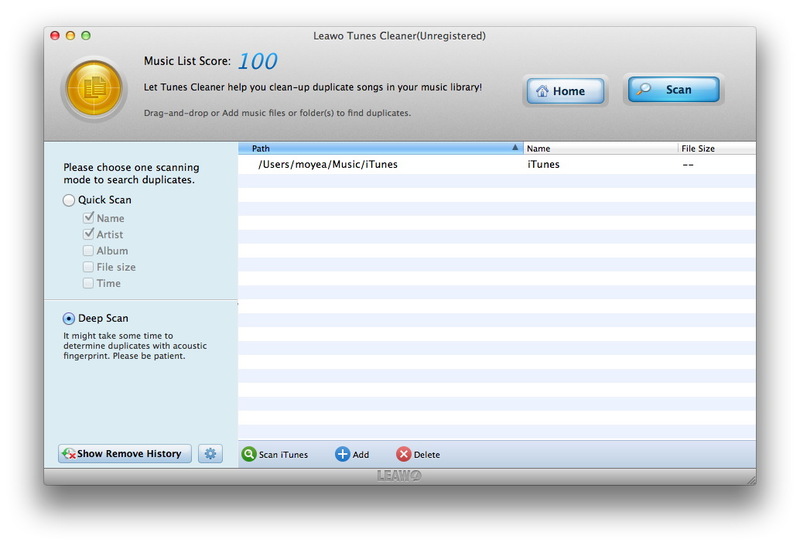 You could decide what to remove by yourself, play back duplicates, open music files to view details, etc. You could remove all duplicates or choose partial duplicates to remove by clicking “Remove”.